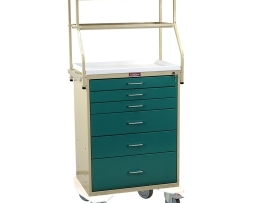 Hospitals and clinics can improve patient outcomes by having all the supplies for wound care and other general patient needs in one well-organized procedure cart for efficient and effective application. 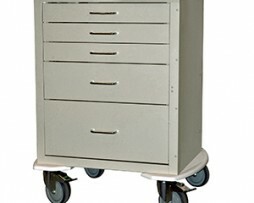 Harloff offers a variety of specialized procedure cart configurations to fit any need. 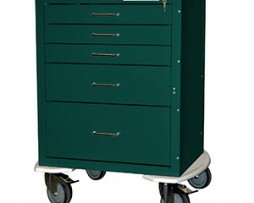 Harloff also offer all-steel construction and a full 12 Year Warranty on all Procedure Carts. 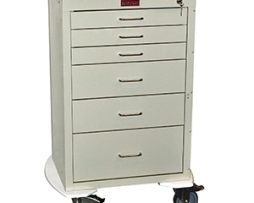 Harloff 6230 Classic Series Treatment Procedure Cart (Short Cabinet), Standard Package, 1-3″ Drawer, and 1-21″ Storage Compartment with Adjustable Shelf. 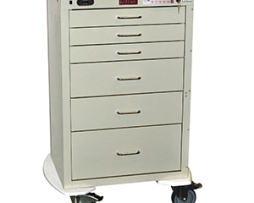 Harloff V24-4K V-Series Four Drawer Treatment Procedure Cart, Short 24″ Cabinet (2-3″, 1-6″, 1-12″); Key Lock. Plastic Top Not Included. Harloff AL810E6 Aluminum Six Drawer Treatment Procedure Cart (Super Tall Cabinet), 6 Drawer, Basic Electronic Pushbutton Lock with Key Lock Override. Factory Set User and Supervisor Code. Cabinet May be Programmed in the Field. 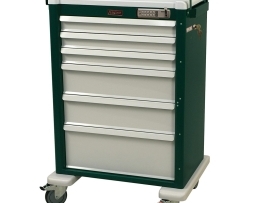 3-3.25″, 2-6.5″, and 1-9.75″ Drawers. Harloff 7451E Classic Line Six Drawer Treatment Procedure Cart (Tall Cabinet), Basic Electronic Pushbutton Lock with Key Lock Override, Factory Set User and Supervisor Code, Cabinet May Be Programmed in the Field. 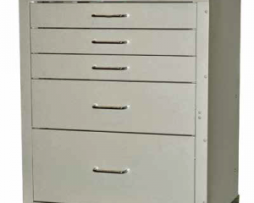 4-3″, 1-6″, and 1-12″ Drawers; includes Accessory Package: (4) Side Rails and 2-Tier Raised Back Rail System. Harloff AL810EKC6 Aluminum Six Drawer Treatment Procedure Cart (Super Tall Cabinet), 6 Drawer, ELECTRONIC Lock with Keypad, 3-3.25″, 2-6.5″, and 1-9.75″ Drawers. AUTOLOCKING: Drawers Automatically Re-Lock After Access: Pre-set/Programmed Time (un-limited re-lock timing). Accessed by PIN into KeyPad (with key-lock over-ride) (6) D Batteries With a Life of 1 Year (minimum). 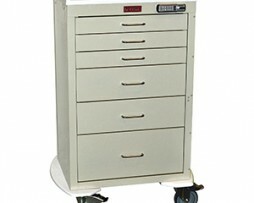 Harloff 3255E Mini Line Five Drawer Procedure Treatment Cart, Basic Electronic Pushbutton Lock with Key Lock Override, Factory Set User and Supervisor Code, Cabinet May Be Programmed in the Field.Cart (Tall Cabinet); 1-3″, 3-6″, 1-9″ Drawers. Includes Pontoon Bumpers and 5” Casters. 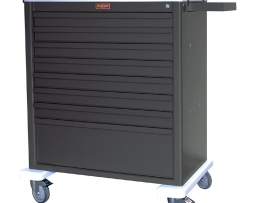 Harloff 6650 Classic Line Six Drawer Monitor Cart with Key locking, Standard Package, 3-3″, 2-6″, and 1-9″ Drawers. Cart includes (1) Aluminum Side Rail / Push Handle, Short Overhead Shelf System with (2) 14″ Deep Monitor Shelves, and Pontoon Bumpers. 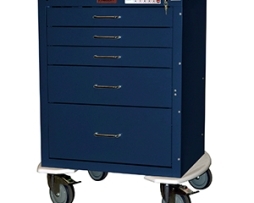 Harloff 4145K Mini24 Line Five Drawer Treatment Procedure Cart, Mini24 5 Drawer Cart (Short Cabinet) Key locking ; 3-3″, 1-6″, 1-9″ Drawers, 3″ Casters, no Bumper. Harloff AL8W10K8 Aluminum Eight Drawer Treatment Procedure Cart, WIDE Cart, 8 Drawer, Key Locking, 7-3.25″ and 1-9.75″ Drawers. 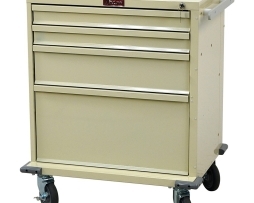 Standard Package Includes Pull-Out Side Shelf, Toprail/Push Handle, Plastic Top, 5″ Ball-Bearing Casters, and Full-Extension Drawer Slides. 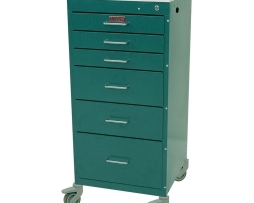 Harloff 3156K Mini Line Six Drawer Treatment Procedure Cart Key locking (Tall Cabinet); 3-3″, 2-6″, 1-9″ Drawers, 3″ Stem Casters, No Bumper. 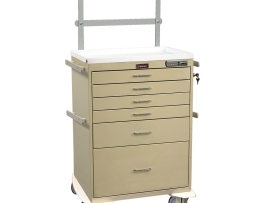 Harloff 4256K Mini24 Line Six Drawer Treatment Procedure Cart Key locking (Tall Cabinet); 3-3″, 2-6″, 1-9″ Drawers. Includes Protective Pontoon Side Bumpers and 5″ casters. 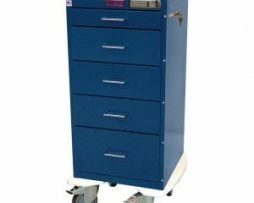 Harloff 4256ELP Mini24 Line Six Drawer Treatment Procedure Cart ELECTRONIC Locking with Proximity Reader and Keypad, (Tall Cabinet); 3-3″, 2-6″, 1-9″ Drawers. Includes Protective Pontoon Side Bumpers and 5″ casters. Harloff 4256E Mini24 Line Six Drawer Treatment Procedure Cart (Tall Cabinet);Basic Electronic Pushbutton Lock with keylock override, 3-3″, 2-6″, 1-9″ Drawers. Includes plastic bumper and 5″ casters. 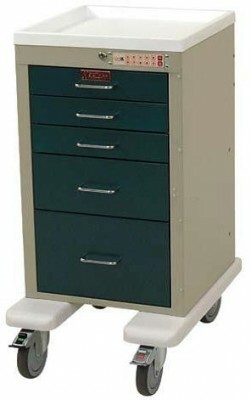 Harloff 4255K Mini24 Line Five Drawer Treatment Procedure Cart Key locking (Tall Cabinet); 1-3″, 3-6″, 1-9″ Drawers. Includes Pontoon Bumpers and 5” Casters. 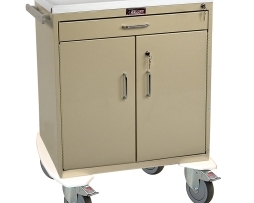 Harloff 4255E Mini24 Line Five Drawer Treatment Procedure Cart with Basic Electronic Pushbutton Lock and keylock override, Cart (Tall Cabinet); 1-3″, 3-6″, 1-9″ Drawers. Includes Protective Pontoon Side Bumpers and 5″ casters. 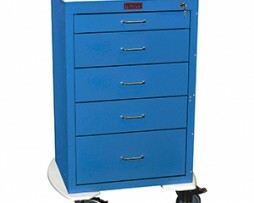 Harloff 4245K Mini24 Line Five Drawer Treatment Procedure Cart Key locking (Short Cabinet); 3-3″, 1-6″, 1-9″ Drawers. Includes Pontoon Bumper and 5″ Casters. 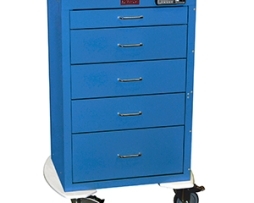 Harloff 4245ELP Mini24 Line Five Drawer Treatment Procedure Cart ELECTRONIC Locking with Proximity Reader and Keypad Cart (Short Cabinet); 3-3″, 1-6″, 1-9″ Drawers. Pontoon Bumper and 5” Casters. AUTOLOCKING: Drawers Automatically Re-Lock After Access: Pre-set/Programmed Time (unlimited re-lock timing). Accessed by PIN into KeyPad or Badge Reader (with key-lock over-ride) (6) D Batteries With a Life of 1 Year (minimum). Harloff 4245EKC Mini24 Line Five Drawer Treatment Procedure Cart Electronic Locking with Keypad (Short Cabinet); 3-3″, 1-6″, 1-9″ Drawers. Includes Pontoon Bumper and 5” Casters. AUTOLOCKING: Drawers Automatically Re-Lock After Access: Pre-set/Programmed Time (unlimited re-lock timing). Accessed by PIN into KeyPad (with key-lock over-ride) (6) D Batteries With a Life of 1 Year (minimum).